Staff Picks for August 9, 2017 – Mister Miracle, Tank Girl: World War Tank Girl, My Pretty Vampire, Redlands and More! It’s nearly Wednesday, and you know what that means: a fresh load of comics and graphic novels! With so many publications hitting your local comics store, comics events or digital storefront, the BF team are here to lead you through the woods with our weekly staff picks. Satisfaction guaranteed! After his success breathing new life into The Vision on his Marvel series, DC is hoping Tom King can work similar magic on a character of theirs with a similar color palette. King is joined by his artist on The Sheriff of Babylon to revisit one of Jack Kirby’s most beloved characters from the New Gods. Scott Free is the greatest escape artist that ever lived. 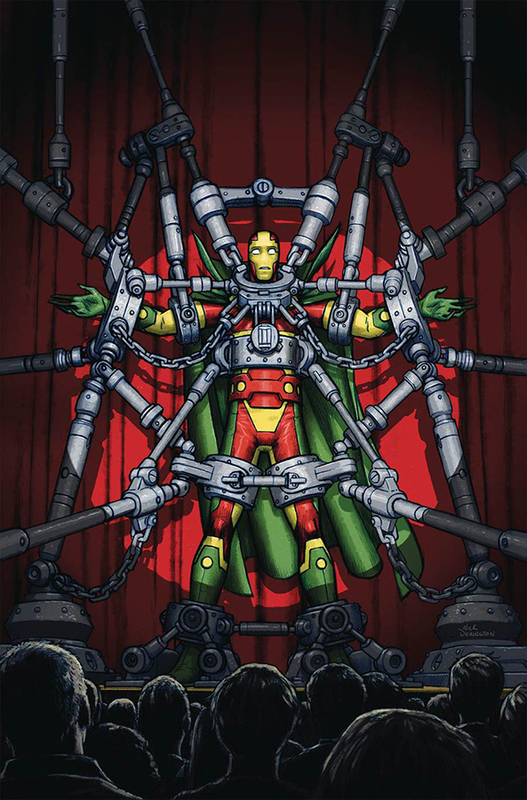 Using the stage alter ego of Mister Miracle, he has made a career for himself showing off his acrobatic escape techniques. He even caught the attention of the Justice League, which counted him among its ranks. You might say Scott Free has everything… so why isn’t it enough? Ships with both a regular cover by Nick Derington (pictured) and a variant by series artist Mitch Gerads. 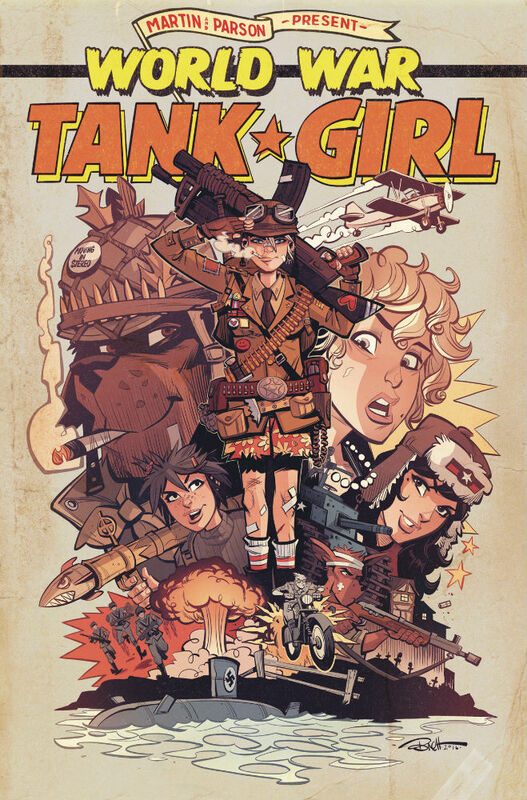 An epic romp through World War II concludes with a bang (and hopefully a stolen tank) as Tank Girl and her team of tea-drinking arse kickers return to the present. Series co-creator and writer Alan Martin has crafted a fun adventure that offers all the mayhem die-hard Tank Girl fans have come to expect while also including moments of a moral dilemma as Sub Girl wishes to stay in the past and enjoy her newfound life and fame in Hollywood. Bret Parson once again proves his affinity and affection for this deviant cast of trigger-happy miscreants with panel constructions that let you feel the bullets whiz past your head. His consistently beautiful artwork down to the vintage coloring of the paper itself, transports you to World War II and dares you not to believe you’re really there. Issue #4 wraps up this latest series and will leave you begging for more adventures with Tank Girl and her friends. The writing duo of Mike Mignola and Chris Roberson continue their look into the history of Hellboy and his adventures with the BPRD. This time they’re collaborating with artist Shawn Martinbrough (Thief of Thieves) for a stand alone story that bridges the gap between the previous story Ghost Moon (set in 1954) and the upcoming 1955 series, The Unreasoning Beast, which begins next month. 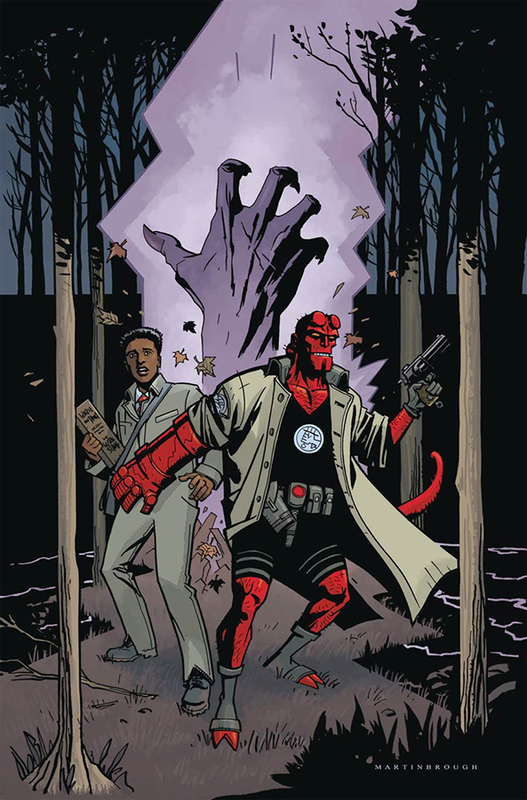 In the backwoods of Oregon, Hellboy investigates the mysterious disappearance of a group of teens which leads to a confrontation with a cryptozoological horror with origins similar to his own! From the outer space weirdness of Nurse Nurse to the odd couple-style road trip of Operation Margarine Katie Skelly has become one of the most distinctive voices on the US alt comics and minicomics scene over the last few years. If you have yet to be introduced to the indie stylings of Katie Skelly then this week affords you the perfect opportunity to discover her work. One of my favorite series from the past year (2016/2017) gets collected into a single volume. If you missed out on the single issues, now’s your chance to read the full story arc of this sunburnt, crime noir drama. Dolores Dare is a stuntwoman just trying to make it in tinseltown, but when an old friend winds up in a dumpster she takes it upon herself to solve the mystery of the April Fool’s Killer. Her investigation takes her deep into the underbelly of Hollywood to discover the secrets behind the studios, corrupt homicide division and the mob! 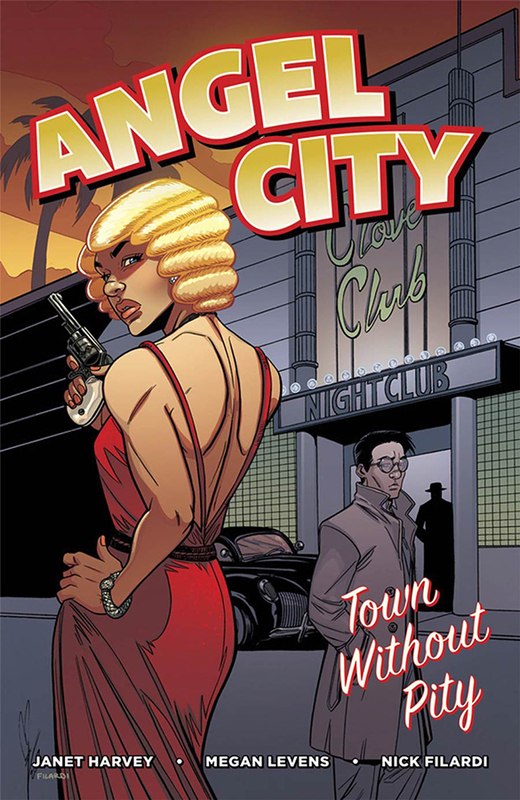 And if you’re curious about the inception of the series, I interviewed the creative team behind Angel City just before its launch last September. 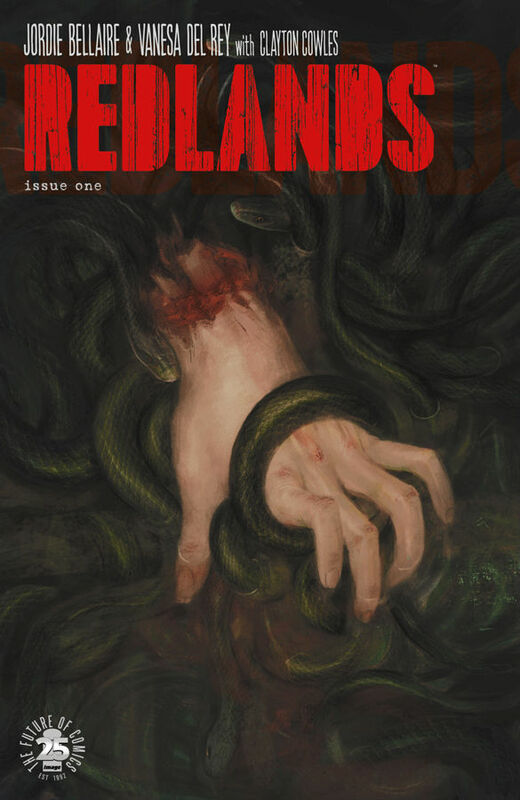 From the minds of Broken Frontier Award-winning creator Jordie Bellaire and acclaimed artist Vanesa R. Del Rey comes this new horror series from Image Comics. Set in the titular small Florida town it chronicles the efforts of local law-enforcement as they seek to stop a coven of witches from gaining control of the locale. Preview pages show off Del Rey’s moody visuals and Bellaire’s always pitch perfect colouring to great effect and indicate that this is going to be a highly atmospheric piece of tense storytelling. Batman writer Tom King describes the book as “a primal scream into the rotting face of our era” while Warren Ellis says of it simply “Nice f*cking job.” Both testimonials ensure that this is one debut comic not to be missed this Wednesday.